The art world is filled with the presence of the Virgin Mary – a fundamental symbol of motherhood, who has been radiating youthfulness, tenderness, and compassion for two thousand years. Finding in her an inexhaustible source of inspiration, artists have consistently used the image of the Virgin Mary to reflect our own sufferings and joys. 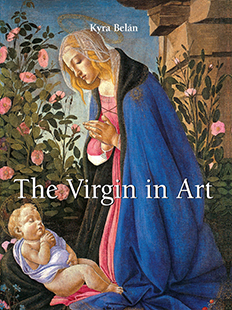 The author Kyra Belán leads us on a comprehensive tour analysing the profound meaning to be found in the images of the Virgin – from personal interpretations to spiritual reflections on a universal level. These works of art present a fascinating visual commentary on the evolution of Western art as well as a striking record of the rise in status of women in society. With more than 200 illustrations, two thousand years of human history are expressed in a single image; that of the Blessed Virgin, Mother of Christ.